JMJ Interactive’s retro co-op adventure Robbotto is landing on Nintendo Switch and PCs today! Guide two robots through more than 100 treacherous platforming mazes, in this throwback to the arcade days! GOTHENBURG, SWEDEN (August 16, 2018)— When it comes to video games, nostalgia is king. Many of us have fond memories of the games we played when we were young, and of those retro aesthetics that captured our imagination and became synonymous with a sense of play. Robbotto, the new 2D co-op adventure from indie studio JMJ Interactive, captures the spirit of retro arcade fun, and is out right now on PC and Nintendo Switch. The story of Robbotto is simple and engaging: join Robb and Otto, two intrepid maintenance robots, as they travel through a malfunctioning spaces cruiser in an effort to shutdown the machines rampaging through the ship. Controlling either character, the player must master platforming and shooting to conquer each level. Tackle the adventure alone, or with a friend through local co-op. On the couch, in the park, at a bar — the possibilities for solo or co-op play are endless. Retro aesthetic: Inspired by retro arcade titles, Robbotto is a nod to classic bar games. 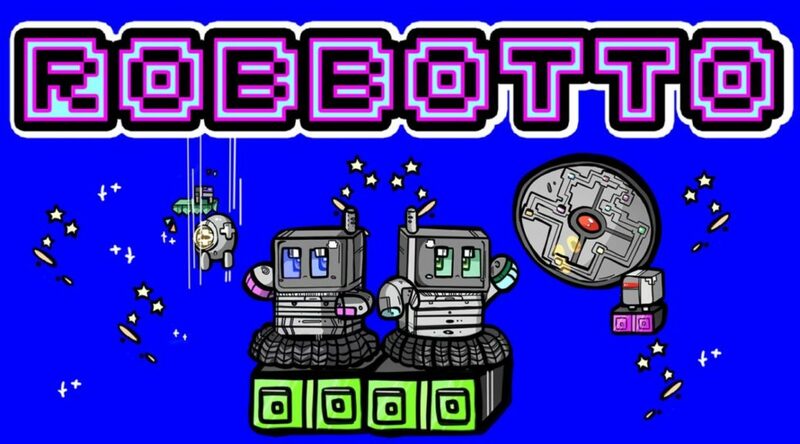 A plethora of levels and enemies: With over 100 levels, 20 different enemy types, and 10 massive bosses, Robbotto offers a wide variety of content to enjoy. Single player or local co-op: Play through the campaign solo or with a friend in asynchronous co-op. PC controller support: Play with a controller or keyboard on PC.